Much like Amazon Alexa, it’s difficult to go wrong with Google Assistant as the helping hand on a smart speaker to control your smart home gadgets, control your music, and setup your entertainment in your home. The youngest of the three main voice assistants that can control your smart home, Google Assistant is now in a wide variety of speakers directly from the giant tech company that created it – and from a variety of other companies, too. Tech Radar's James Peckham takes a good look. Released in May 2016, the Google Assistant service replaced a similar feature called Google Now bringing a two-way conversation feature for the first time. You can use the Google Assistant in phones and tablets as well as the Google Home range of speakers that includes the Home Mini and Home Max. It’s also in a variety of third-party products such as Sony, Sonos and JBL speakers, and even the Lenovo Smart Display that includes a screen too. With a wide variety of third-party speakers and the whole Google Home range to choose from, you won’t struggle to find a top-end speaker to allow you to use the voice assistant. The smart home control is second to none, and there are lots of apps that support the platform as well. One of the highlights is the Chromecast integration that allows you to easily control your TV to play Netflix and more on your TV even when you can’t find the remote control. The search functionality and contextual information Assistant offers is also a big highlight as well. With some clear highlights and very few negatives, the Google Assistant is an easy to use platform that many can embrace easily and we think you’ll be happy with what it offers. Although it’s the newest to market, Google Assistant is still a remarkably accomplished voice assistant. Below we’ll talk you through some of the best features and smart home compatibility Google’s Assistant is capable of to see if this is the best smart home controller for you. Much like the other voice assistants, you can just call out to your smart speaker with a command to wake it and use your voice to state your question, query or request. With Assistant, you’ll have to say 'OK Google'. You can then ask a variety of questions relating to features like playing music or podcasts, directions for your journey, information from the internet, smart home features and more. Google Assistant will be able to answer your music requests from a variety of services such as Google Play Music, but there’s also support for Spotify, Google Podcasts and services such as TuneIn where you can listen to the radio over the internet. Where Google excels at the moment is contextual information in your searches. It’s particularly good at answering queries such as 'how long is it until Christmas?' or 'when was Marilyn Monroe’s birthday?'. Amazon Alexa and Apple’s Siri are slowly getting better at this, but the power of Google’s search engine currently makes it consistently the best for these sorts of searches. It even has conversations with you, so it’ll remember your last search and it’ll often understand the context of a follow up question. For example, we asked 'how old is Taylor Swift' and got the correct answer from Google. We then said 'play her music from Spotify' and it managed to remember we had been talking about Taylor Swift and played a playlist of her music. This is useful for a variety of searches and isn’t something that’s offered to such a high hit rate on the other voice assistants at the moment. If you use a lot of Google services such as Gmail or the calendar, you may find the Assistant suited to you as it connects with your accounts and means you can set up reminders and more from your speaker. For example, if you have a calendar meeting set up, the Google Home (or other speaker) can remind you of it on a morning. You can also set it up so the speaker will remember your commute and let you know on a morning if there’s a delay on your normal route. Plus if you own the Google Home speaker, you can use it as a way to make phone calls to other speakers in other people’s homes too. It’s a useful way of having a conversation in your home when you can’t find your phone. One nifty feature is if you have a TV with a Chromecast plugged in – those are the affordable streaming dongles from the company that connect your telly to the internet – you can even use Google Assistant to play things on your TV. For example, if you’re in the room with your speaker you can ask 'Play Orange is the New Black from Netflix on my TV'. It’ll then connect to your Chromecast and automatically play it for you. It may sound lazy, but this is good when you don’t want to spend time sifting through all the menus on your favourite streaming services and just want to dive straight into the action. Google has done well to get its voice assistant to support a wide variety of smart home gadgets. It means you should be able to control your smart home tools with a Google Assistant ready speaker without much hassle at all. If you’ve got Nest set up in your home, for instance, you’ll find you’ll be able to ask your speaker to set the perfect temperature or you can turn it all off together. It’ll also control Philips Hue lighting gadgets in a similar way too. Google has support for over 200 brands of smart home tools, and that adds up to around 1,500 products across its range. Examples include Philips Hue, Roomba, TP-Link, LIFX, Nanoleaf, Arlo, Swann Security and many, many more. If you have a particular brand or product you want to know it has support for, you may want to check out this full list of partnership products on the official Google website. 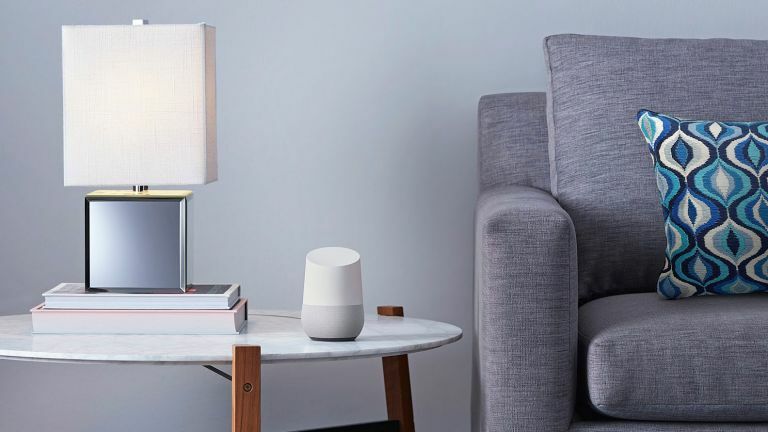 Google Assistant makes it easy to control your smart home gadgets with your voice, plus the new selection of smart speakers with screens allows you to play around with the settings of your home on the tablet-like interface as well. Looking for more smart home products?